Turley Wine Cellars was founded in Napa Valley by Larry Turley in 1993. Because Larry has never met an old vine vineyard he didn't like, Turley now makes 34 separate wines from 38 different vineyards, some with vines that date back to the late 1800s. Often weak and decaying, these old vine vineyards require extra care and attention in order to restore them to their former glory. After twenty-five years as an emergency room physician, Larry can now focus his resuscitative skills on the various old vineyards that comprise the wines he loves. All of the vineyards are either certified organic by California Certified Organic Farmers or somewhere in the process, and only natural yeasts are used in the fermentations. 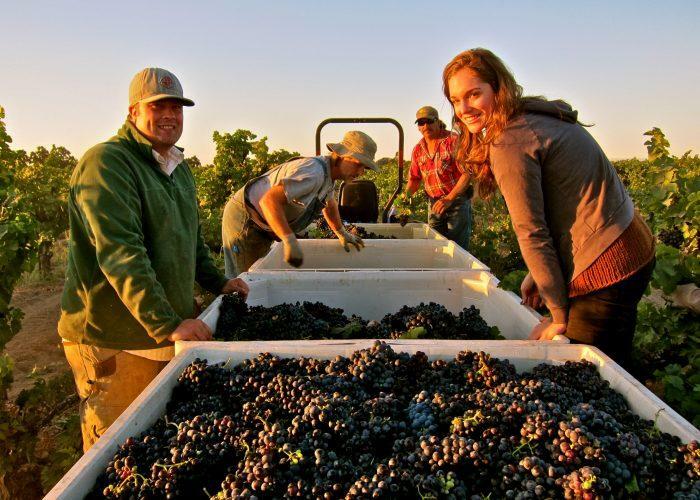 By focusing on old vine Zinfandels and Petite Syrahs in particular, Turley aims to both create and preserve California's unique winemaking culture. Wine Advocate 91+ "This is a blend of young-vine fruit from 13 different counties in California. Pale to medium ruby-purple, the 2017 Zinfandel Juvenile is scented of cinnamon toast and licorice with warm red currants, cranberries, warm black berries and cherries with blue fruits and spicy hints.